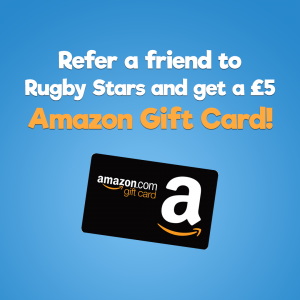 Refer a friend and their child to Rugby Stars and once they sign up to a full class membership, we will give you a £5 Amazon gift card! This offer can be redeemed by anyone – you don’t even have to be a member to take advantage! ← Looking for the perfect Christmas gift to introduce your child to Rugby?